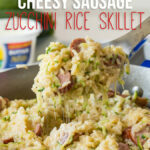 This kid friendly 5 Minute Cheesy Zucchini Rice is the perfect quick side dish to any meal! I’ve always been the kind of person that believes in a balanced meal. A dinner should be comprised of some sort of protein, vegetable and carb/starch. Since we have 4 kids, rice has always seemed to be a big part of our dinner repertoire. We usually buy it by the 25lb. 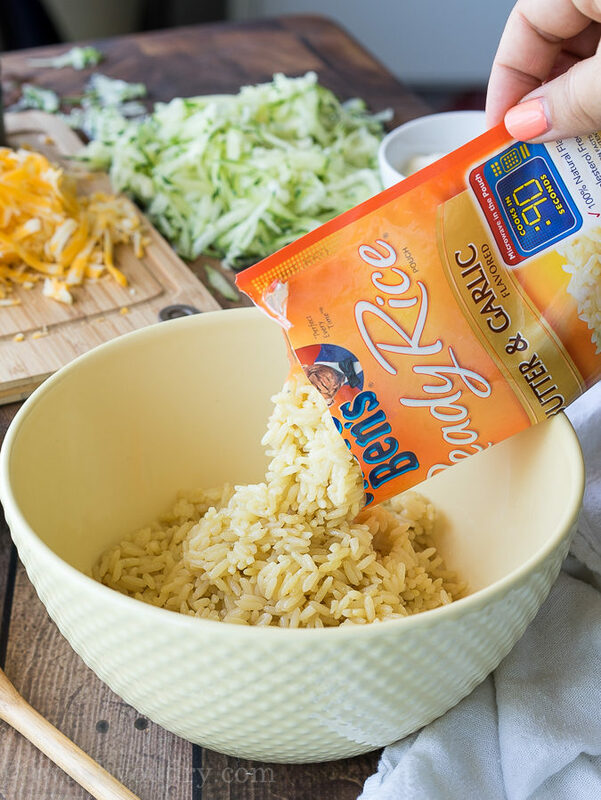 bag full, but when I’m in a pinch and looking for a quick side dish, I love reaching for UNCLE BEN’S® READY RICE®. It’s that convenient microwave-in-the-pouch rice that’s ready in just 90 seconds! You can find it in the rice aisle of your local grocery store! 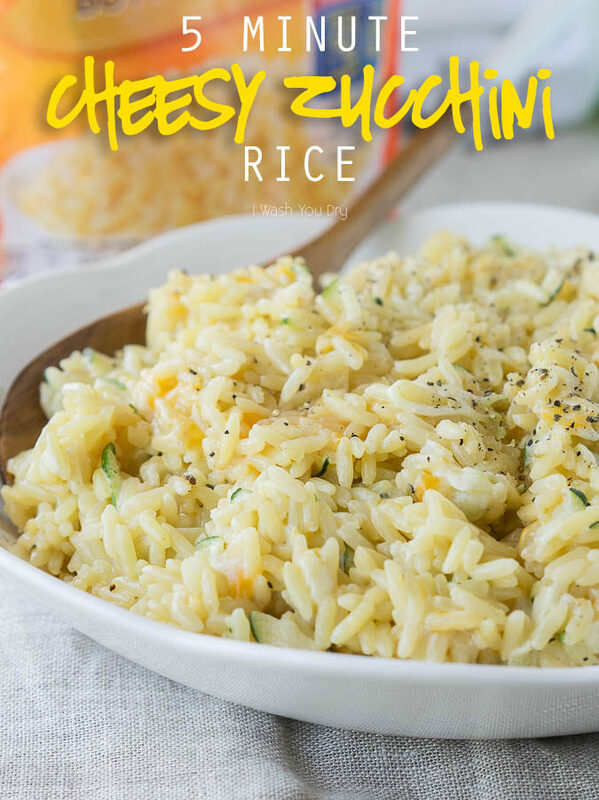 I can’t tell you how many times this rice has come to the rescue for dinnertime. Especially in the summer, when the last thing I want to do is stand over a hot stove to boil rice. 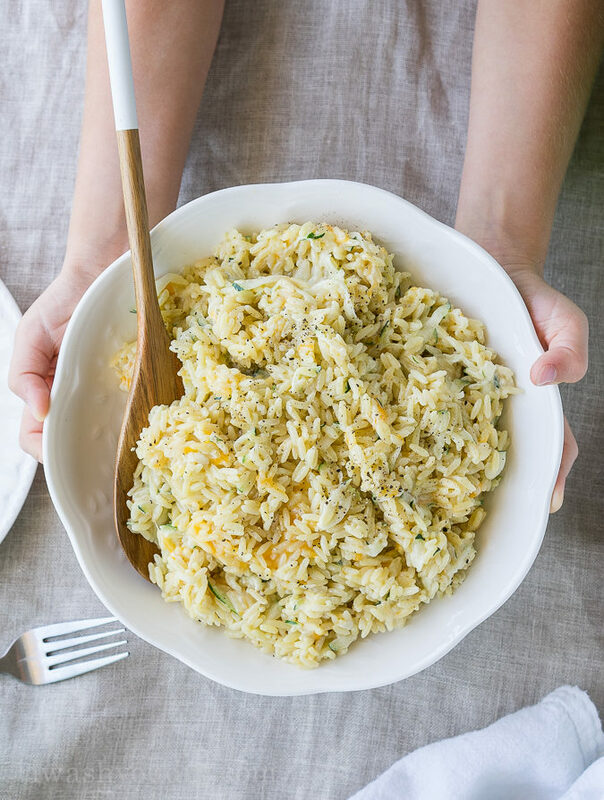 This super simple side dish is ready in just 5 minutes and no stove required! This recipe is so simple that even my littlest kids can get in the kitchen and help with it! In fact, this is one of their favorite recipes BECAUSE they can actually make it all on their own! Microwave the rice according to the package instructions, so it’s nice and hot. Then carefully pour the rice into a big bowl. While it’s microwaving I help the kids grate some zucchini and cheese, so it’s ready to go into the rice once it’s done cooking. 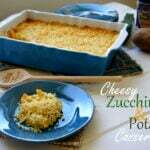 A little cheese, a little zucchini and a little sour cream to give it that extra creaminess! Just stir it all together, season with a little salt and pepper and your delicious side dish is ready! This is a sponsored post. I received compensation in exchange for this post. Although this post is sponsored, all opinions are my own. Follow The UNCLE BEN’S® Brand on Facebook, Twitter, Pinterest, and YouTube. 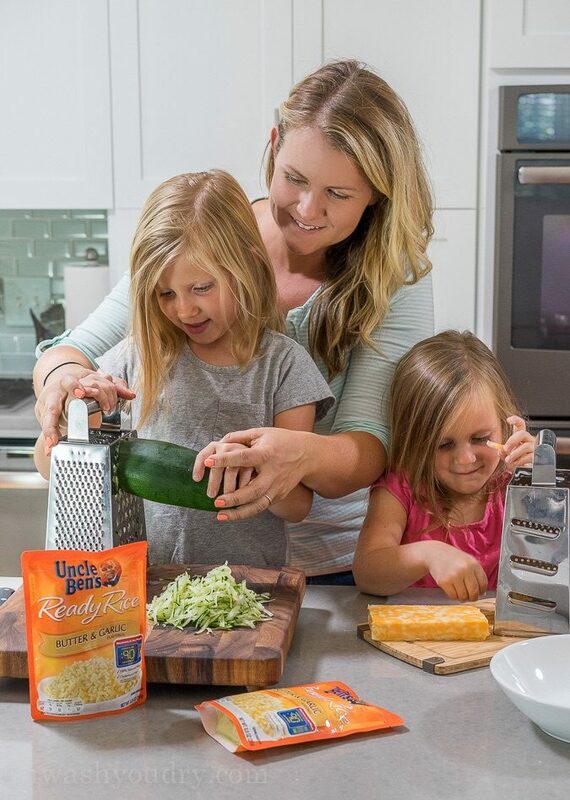 What’s your favorite kid-friendly recipe? 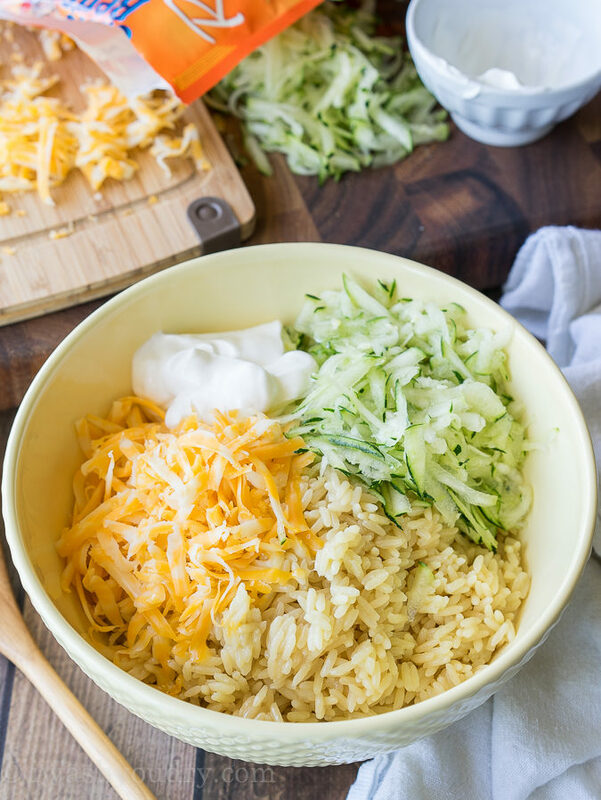 A little cheese, a little zucchini and a little sour cream to give this 5 Minute Cheesy Zucchini Rice all that extra creaminess! Microwave the Uncle Ben’s rice according to package instructions and pour into a large bowl. 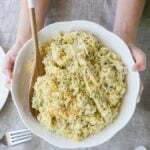 Stir in the zucchini, cheese and sour cream until combine and cheesy. We have fun making popcorn, pizza, and little snacks. I saw this yesterday and went to the store to get this rice to make for dinner. My whole family LOVED it! Thank you so much for sharing such quick recipes. I’m always so busy and your recipes are a lifesaver! What a quick and easy recipe, Shawn! 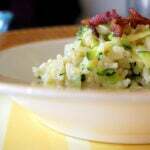 Perfect for my husband and me, and a great way to use up some of our garden zucchini. I’m ashamed to say that I didn’t know Uncle Ben made microwavable pouches! I will definitely be picking some up next time I go to the store. I must say how much I enjoyed the photo of you and your girls. They are just as pretty as can be – just like their Mom 🙂 . Why thank you Ginny! 🙂 I always keep a couple pouches of that rice handy for when I need a quick side, you’ll love it! 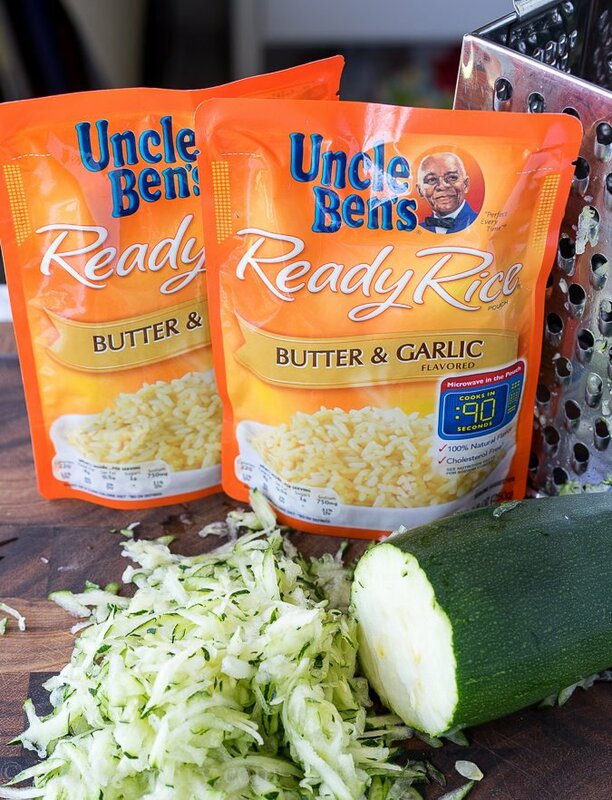 We love to use Uncle Ben’s rice to make a great quick and easy stir fry dinner for the entire family. Awesome idea! I hope you’ll enter that contest and show off your kid’s cooking skills! 🙂 Thanks for stopping by Heather!